Designed to help aid High-Level thinking skills. A preview of each puzzles' title is available. 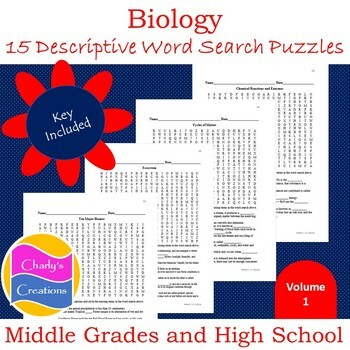 Ideal use for High School Biology, but can be used for Middle Grades Life Science, as well. Great for Homework, Review for a Test, or Just for Fun! 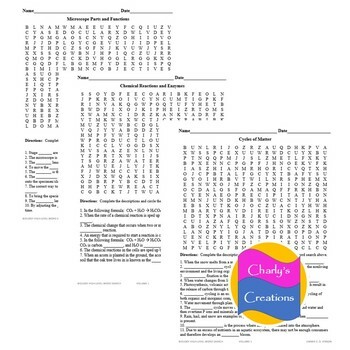 Contains at least 10 or more terms per Word Search Puzzle and Keys!